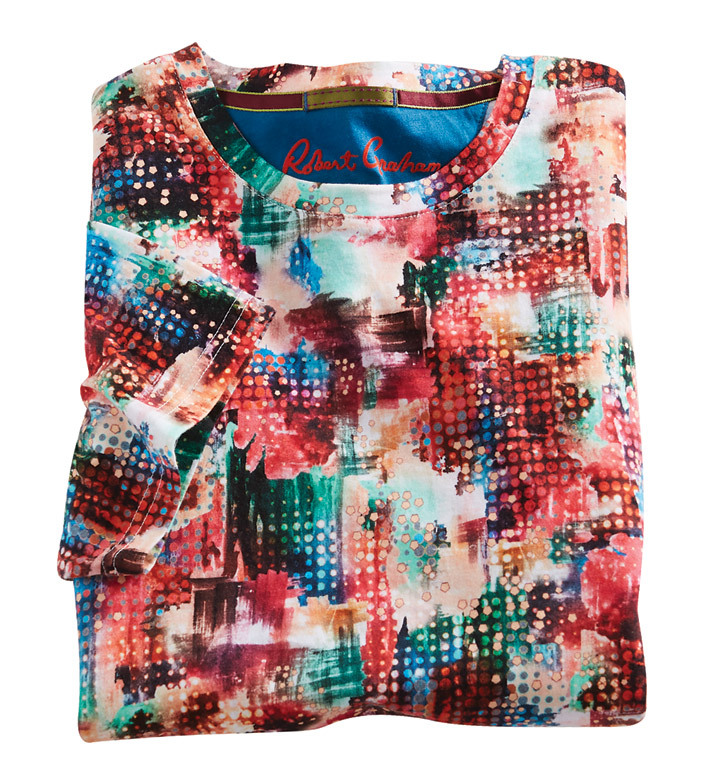 Cool look in a complex print of abstract flowers and dots on luxe, 100% cotton. Classic fit, short sleeves, crew neck, straight hem with side vents. Machine wash. Imported.